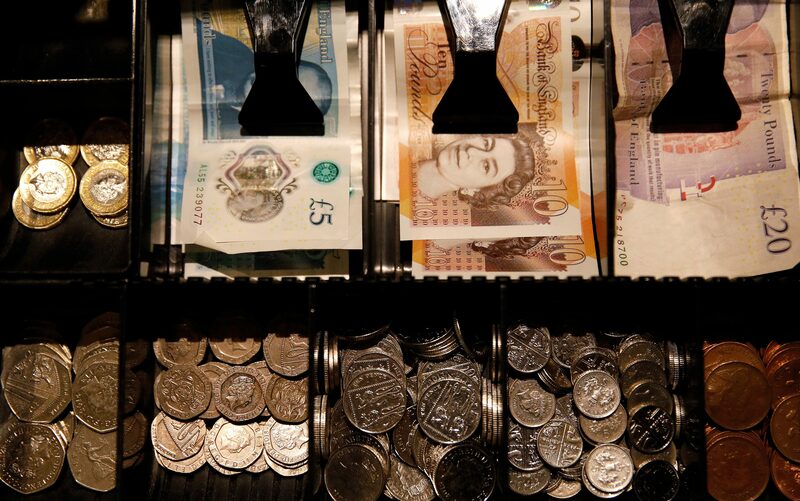 Pound Sterling notes and change are seen inside a cash resgister in a coffee shop in Manchester, Britain, September 21, 2018. Financial markets need to price in the growing risk that Britain could leave the European Union without a withdrawal agreement, European Central Bank policymaker Francois Villeroy de Galhau said on April 2. “Markets were betting as recently as yesterday that there would be a deal and they are going to need to price in the growing risk of a no-deal, including on the value of the pound,” Villeroy told French radio station BFM Business. Sterling has since the beginning of March traded between $1.2950 and $1.3380. It was at $1.3337 BY 1000 GMT on April 3.